Every year millions of patients see dermatologists to treat fine lines and wrinkles, persistent red complexion, sun spots, acne scars, large pores and other blemishes. Treatments like microdermabrasion, chemical peels and laser resurfacing can improve these conditions. Intense pulsed light, also known as photorejuvenation, is a new, non-ablative technique to treat skin problems and conditions. How does IPL (Foto Facial) work? IPL treatments use high intensity pulses of broadband light that are different from the narrow band light used in lasers. IPL, which stands for intensed pulsed light, is non-ablative meaning that is does not damage the surface of the skin. The intense light is delivered to the deeper parts of the skin (dermis) and leaves the superficial aspect of the skin (epidermis) untouched. There are different versions of IPL available on the market that target different structures in the skin. PhotoDerm VL targets vascular lesions such as spider veins and vascular birthmarks. PhotoDerm PL targets pigmented lesions such as melasma and age spots. PhotoDerm HR and Epilight target unwanted hair. The thermal effect of IPL also causes production of new collagen, leading to improvement in wrinkles. As discussed above, IPL does not damage the skin's surface, unlike dermabrasion and laser resurfacing so there is virtually no recovery time. Treatments take approximately 30-45 minutes. Patients can apply makeup before leaving the office and return to work the same day. There is also minimal pain with IPL, unlike laser or radiofrequency resurfacing which both require topical anesthetic. Also, with IPL, a larger area can be treated at one time than is possible with laser treatments. Given that there is little damage to the skin's surface, several treatments may be required to see the desired effect. 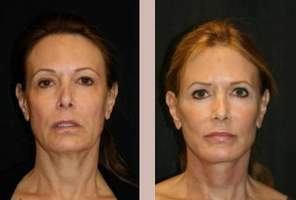 For best results, approximately 4-6 treatments, spaced 3 weeks apart, are needed. Side effects can include transient redness and increased or decreased pigment in the treated area. Minimizing sun exposure can reduce these side effects. Prices usually vary according to the IPL treatment size. The average cost for a Foto Facial/IPL is $350 - $600 each treatment, depending on the body part. A consultation with a Foto Facial specialist and the number of treatments needed will determine your ipl treatment cost.